Bandhan...Saari Umar Humein Sang Rehna Hai is a heart-warming story of two innocent souls and a very tender relationship that develops between the two - one based on the most basic emotion of love and affection for one's sibling, standing by each other through thick and thin and completing each other. 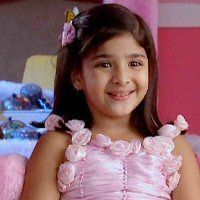 The show will take the viewers through the innocent world of Darpan and her family set in the Dalma jungle. Always longing for a little brother, Darpan's dream comes true in the most unexpected way when destiny introduces her to Ganesha, a baby elephant ... what follows is a journey of love & struggle in the big bad world for the unlikely siblings! The show has been shot extensively in a forest where the Karnik family stays in a picturesque house, a river flowing by its side. It transports viewers to a world in the woods, distinctly different from the one they inhabit. 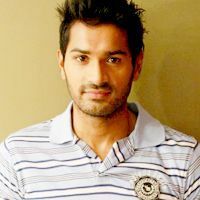 She plays Grown up Darpan who will take revenge from Vishwas Rao for killing her family with the help of his son who will be her love interest after the leap. 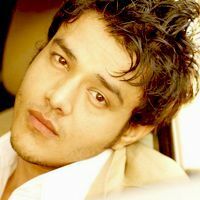 Vishwas Rao is a Zamindar in the show who is very strong and is a gray shade character. His behavior is like a grown up child. He is a big shot of the area. 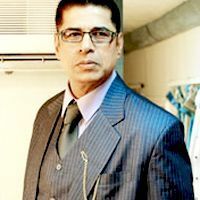 Dev Pratap is the younger brother of Vishwas Rao played by Sudesh Berry. 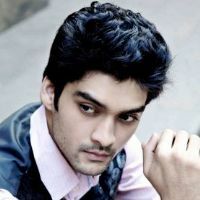 He is a right hand of his elder brother and the main antagonist of the show. Darpan means mirror-clear and without manipulation. Born on Ganesh Chaturthi, Darpan got her name because when she was born the nurse who tended to her told Mahesh that his daughter is an exact reflection of Prabha tai... ''bilkul waisi hi jaisi Prabha tai darpan main dikh rahi ho''...and so on that day Mahesh decided to name his daughter Darpan. Darpan''s pet name is Chabudi. Having been brought up with a lot of love and care by her parents, Darpan is quite untouched by the realities of life and has not really experienced any real pain of hardships. She has always lived in a cocoon of love and warmth in the midst of a jungle at her father''s Ranger bungalow. Born and brought up in the forests, which is a small province in the middle of Maharashtra, Darpan has had a little to no exposure of the world outsideBeing a singlechild has been tough for Darpan, especially since she lives in an isolated jungle. And despite her best attempts to keep herself occupied and surround herself with the sights and sounds of the forest, very once in a while a feeling of deep loneliness creeps into her.Darpan is very good with her hands and makes a lot of things herself like paintings, collages, rakhis, show pieces, utility objects etc. Darpan room is full of toys brought by her father and also the things collected by her in the jungle left by the tourists. Her favorite colors are all bright colors like red, pink and orange. She loves all songs from animal movies and also has a penchant for riddles. As a forest ranger he is known as the Waagh - the Tiger translated into Marathi.Known by his juniors to have an iron fist for things against jungle, he even has different ways of treating poachers. What goes in his mind for treating these people leave his subordinates surprised and shell shocked? It is completely after Mahesh's appointment, that the poaching incidents in Forest have been reduced to almost negligible. Mahesh is a modern man who's usually uses English words sprinkled in his sentence and this often confuses his wife Prabha. Being an ardent lover of nature and animals alike, often takes to the jungle out of free will and soon realizes that the world within the jungle is so much simpler and cleaner than the world outside. 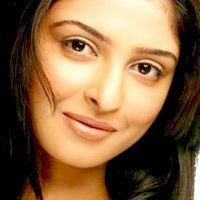 31-year-old, Prabha is a fiery, sharp-tongued woman with an extremely strong sense of humour. She is fun loving in a very quirky sense and tends to lead by example rather than words.Though illiterate, Prabha's knowledge on the practicalities of the world surpasses almost anyone else's.